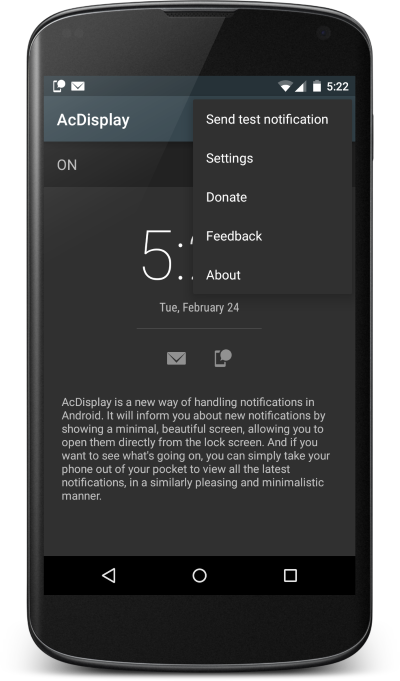 GitHub - AChep/AcDisplay: AcDisplay is a new way of handling notifications in Android. Want to be notified of new releases in AChep/AcDisplay? 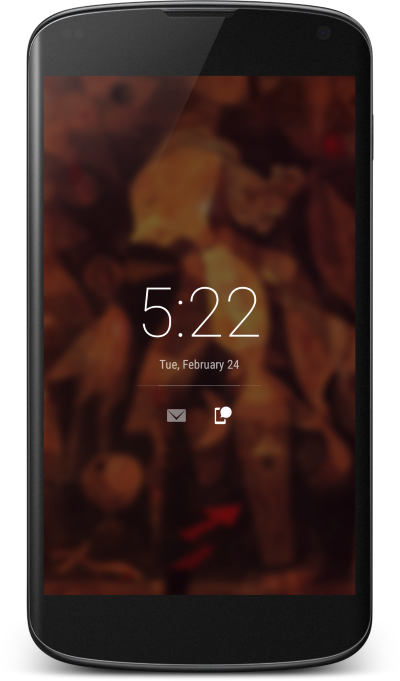 It will inform you about new notifications by showing a minimal, beautiful screen, allowing you to open them directly from the lock screen. And if you want to see what's going on, you can simply take your phone out of your pocket to view all the latest notifications, in a similarly pleasing and minimalistic manner. Please do not use the name AcDisplay for your app — or make sure your users understand that it is unofficial. # You will need to answer 'yes' later. # First you need to set the path to your keystore and the alias. # for future bash sessions. # You will be asked for passwords in proccess. You may also use the Android Studio graphic interface to build. Make sure JDK-7 or later is installed. Make sure latest Android Studio is installed. Select: File -> Import project; and choose ./AcDisplay/project directory.